Older adults tend to resist when it’s time to talk about what will happen when they are no longer able to live on their own. But starting the conversation about senior care options with your loved one early can save the family from a lot of stress. 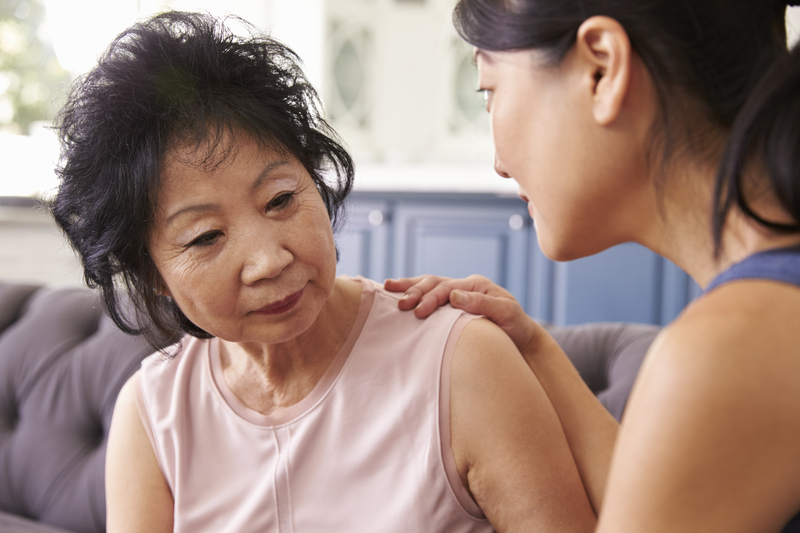 So, what should caregivers do to make the decision-making process as smooth as possible? According to team members of the Bethesda Care Management Program, the best thing you can do is plan ahead. The best time to talk to your loved ones about senior care options is before a crisis happens. Discussing care options with seniors is not always an easy task. Follow Bethesda’s tips below to make your senior care option conversation run smoothly. Take a tour of senior living communities so your loved one can experience the lifestyle offered and meet some of the people who live there. At Bethesda, you can involve Care Management team member at your tours of senior living communities. They can provide the family – and the senior – with an unbiased viewpoint while working to find a compromise between family members who may not agree on the best course of action. A tour helps seniors feel comfortable with the future of their healthcare. Often times, older adults imagine their twilight years will resemble senior health care 20, 30 or 40 years ago. They are often quite pleased to discover the many new senior care options available to them. Deciding which senior care options are best for a senior loved one who may no longer be able to completely care for themselves isn’t just stressful for Mom and Dad. Family and loved ones struggle to fulfill their interpretation of their parents’ wishes. Sometimes finances become a major issue, as family members disagree on how to best use limited resources. Still struggling to start the conversation about senior care options with your parent? Bethesda can help! Contact Bethesda’s Care Management Team for assistance in making the decision, and read on for more tips for senior caregivers.